Not sure about the industry going away. That said, it certainly needs to change. That will only happen when people refuse to buy poor quality. Unfortunately, too many people only worry about the bottom line. Then they complain about the quality. I'm assuming a fairly large percentage of the $16.5M spent by advertisers is spent on selling the RV lifestyle. 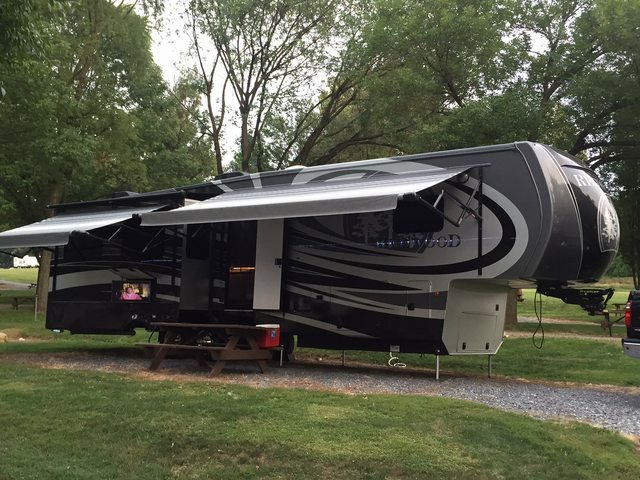 They've been extremely successful at it since only a small percentage of RV owners actually get to camp in a site where there are no other sites in close proximity and the views of crystal clear lakes and mountains are in the background. Give me a break. The responsibility for this fiasco sits almost entirely on the shoulders of the consumer. One of the greatest attributes of capitalism is that you can speak with your wallet. The fact that RVers as a group are too ignorant to realize they possess one of the greatest gifts our founding fathers could have given us, the power of the purse, is completely distressing. I know a certain member of the ROG had a meeting with Redwood management during the Rally. It's time for deeds, not words. Redwood's establishment of a PDI facility is a step in the right direction. I hope it continues. Spindrift, what are you suggesting? I am on board. I am beyond ready to join the ranks for action. Totally ticked at the bill of goods I was sold. Met a couple in Joliet IL on Sunday with a brand new Sequioa they bought from Tiara one month ago. They have issues with trim falling off, bedroom AC does not work and basement flooded in a rain storm. They are full timers... husband is a heavy equipment operator on a pipeline job working 6 days a week. I gave them the Redwood Customer Support number and wife called yesterday to try and get some help from Chris. She was told to come to the Service Center... they would not let her talk to anyone about any other options. Driving to the Service Center to get their rig looked at is not a realistic option at this time. I heard a promise at the Rally from the President and I told these folks Redwood would help when their dealer would not... so far things are not looking good. I'm not suggesting anything other than the power being in the purse and until consumers use that power, we'll continue to see a large amount of crap coming out of RV manufacturing facilities. Senior management told folks at last year's Rally that QC was a concern. It was the topic of conversation again at this year's Rally. Supposedly, RW has established an "independent" PDI facility. If that's the case, that's a good thing and maybe a sign that RW "gets it". As always, time will tell. We are contacting this couple to see how we can help. If you are not getting a good response, please reach out to us directly. Anything we are able to do, we will. Well there you go gang ! . . that's the first I have seen a response like this on here.. I like it! It was an anonymous response, but it's at least a factory response so that's a good start. Most of the time these responses don't seem to last as time passes.